Simon Buerki was born in St. Gallen, Switzerland in 2000. He began piano lessons at the age of five at the Classic and Jazz Music School in Kiev with Rada Zagorskaya, where he studied parallel to his education in a state school in Switzerland. After some years of studies, his progress was accelerated by regular masterclasses with Boris Fedorov, a professor at the National Music Academy of Ukraine in Kiev. In 2011, Simon’s gifts were recognized at the Horowitz International Competition for Young Pianists, where he successfully achieved three laureate prizes in all three age categories. By the age of 12, he was invited to perform the 20th Mozart Concerto in D minor, with the Zurich Chamber Orchestra at the Tonhalle Zürich in Switzerland. In 2013, his career got a real kick-start as he became a laureate of the music competition for young pianists in Kiev under the patronage of Denis Matsuev and was invited to perform at the Annecy Classic Festival in France. In 2015 Simon entered the Central Music School in Moscow where he studied in the class of Farida Nurizade. 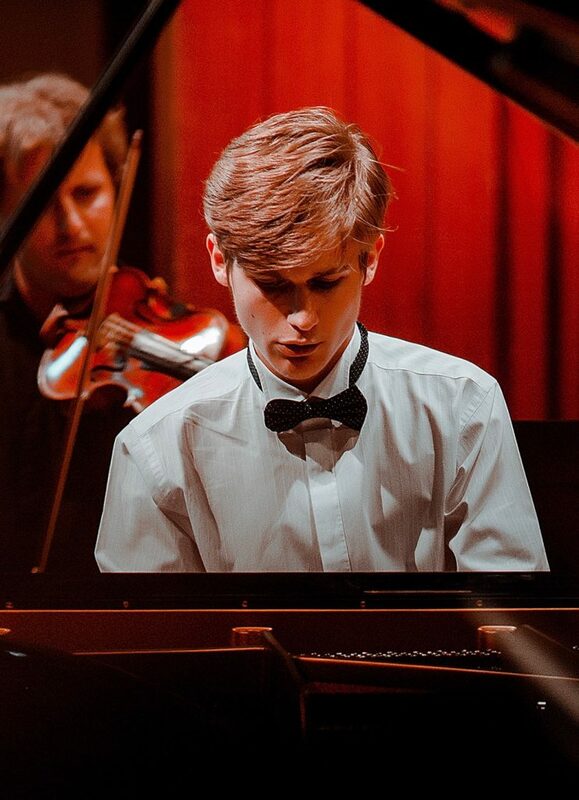 2017 was a very successful year for Simon; he won several competitions in a row, including the first place at the International Competition for Young Pianists ‘A Step Towards Mastery’ in St.Petersburg (Russia) and the 5th International Franz Liszt Competition for Young Pianists in Weimar (Germany), where he also won the EMCY prize and the prize for the best improvisation. Apart from classical music, Simon plays improvisation and jazz. In 2018 Simon began his studies at the Moscow Conservatory with Prof. Andrey Pisarev. He has been invited to perform in Switzerland, Germany, France, Russia, Ukraine, Spain, Italy and Austria. If you are interested in working with Simon, please get in touch with the EMCY Office.